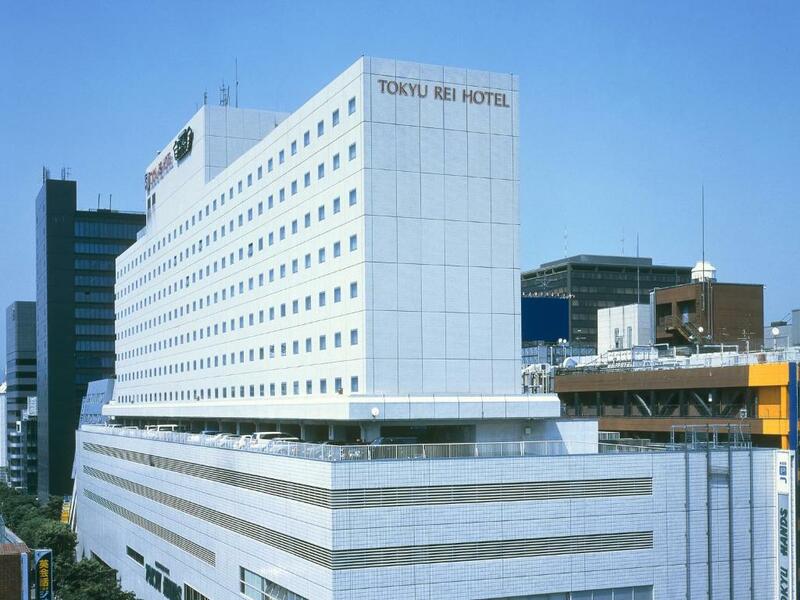 Lock in a great price for Shin Osaka Esaka Tokyu REI Hotel – rated 8.1 by recent guests! We were only in the room to shower and sleep as we were flying out early next day. Location is good near metro station and some restaurants. Room was clean although quite small for 3 persons. Room rate was good for city. Location and breakfast are great. Staffs are very helpful. The room is clean. Exceptional staff! All went the extra mile especially the housekeeping. The friendly and helpful staff. The breakfast is excellent value. The location was very convenient. 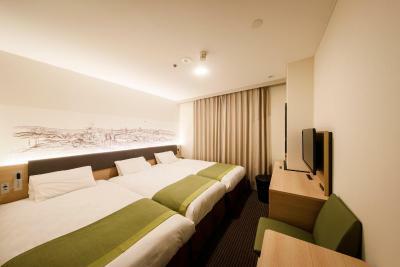 The location was great for the price, right next to the subway which was only a couple stops from downtown Osaka. Very convenient. Tokyu Hands department store in the same building was also very convenient. Starbucks across the street for morning coffee (after 7am). A lot of eateries and convenience stores around. About 5 mins walk from Esaka station to hotel and 10 mins train ride from Esaka station to Osaka station. Location, comfortable bed and pillows. Spacious room. Very clean. 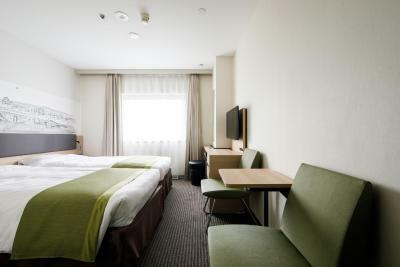 Located very conveniently to Esaka station, the hotel is comfortable and clean. The restaurant has a great buffet style breakfast for 1500 yen. The location is convinient, there wer a lot of convenience stores around as well as Mcdo- great for late night food fixes. The employees were also friendly and accomodating- able to communicate through english so there was nit much of a language barrier. 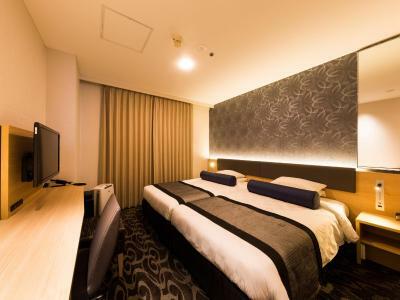 Shin Osaka Esaka Tokyu REI Hotel This rating is a reflection of how the property compares to the industry standard when it comes to price, facilities and services available. It's based on a self-evaluation by the property. Use this rating to help choose your stay! 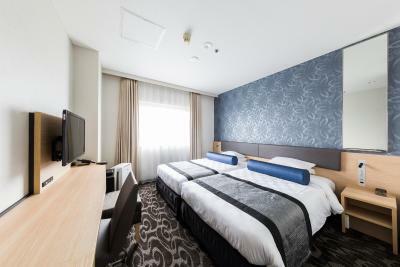 Shin Osaka Esaka Tokyu REI Hotel is a minutes' walk from Esaka Subway Station exits 4 and 9. 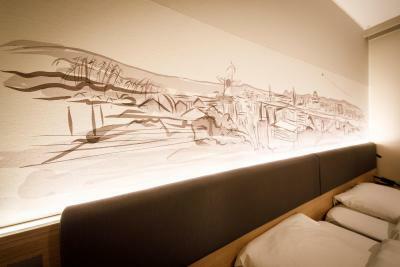 It offers air-conditioned rooms with free WiFi and a restaurant offering a buffet breakfast. 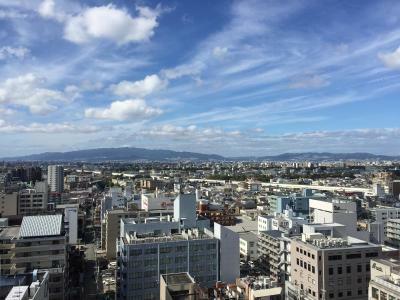 Umeda Station is 9 minutes away by subway and on foot. Tokyu REI Hotel Shin Osaka Esaka offers simply furnished rooms with a satellite TV and tea maker. 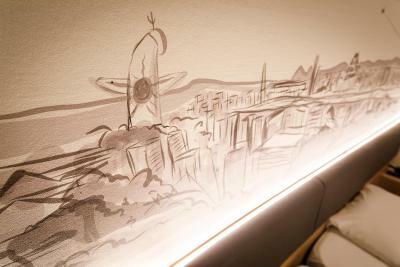 The bathroom includes a bathtub as well as a hairdryer and amenities. Pay-per-view movies are on offer. 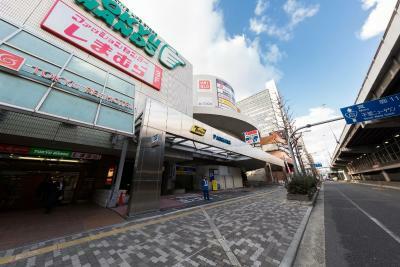 From nearby Esaka Station, Shin-Osaka Shinkansen Station is a 4-minute subway ride. Tarumi Shrine is about a 20-minute walk away. 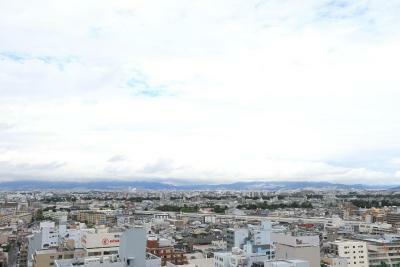 Osaka Itami Airport is a 15-minute drive away. It takes 30-minutes by train to Universal Studios Japan®, and 20-minutes by train to Namba Station. 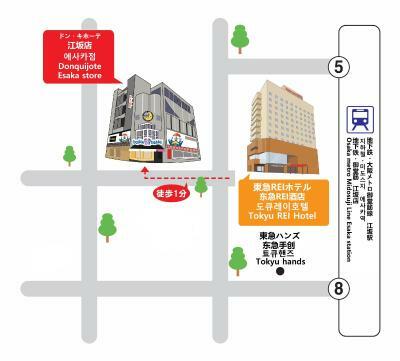 In addition, several restaurants and fast food outlets are within a 5-minute walk from the hotel. Shangri-La Restaurant offers Japanese and Western meals, and a variety of shops are located below the hotel. Coin-operated internet stations are provided. 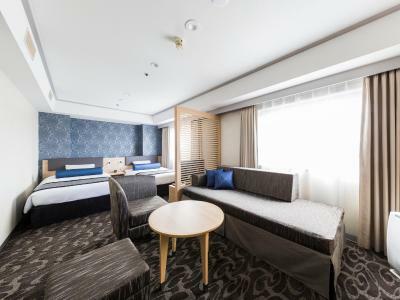 When would you like to stay at Shin Osaka Esaka Tokyu REI Hotel? 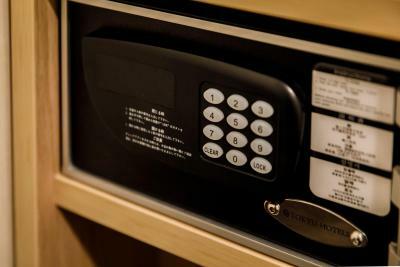 Located on 13-14 floors, this simply furnished room comes with a satellite TV and tea maker. The bathroom includes a bathtub as well as a hairdryer and toiletries. Pay-per-view movies are on offer. Beds featured are 55 in wide. 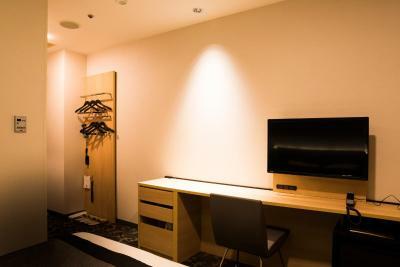 Private parking is available on site (reservation is not needed) and costs JPY 650 per day. 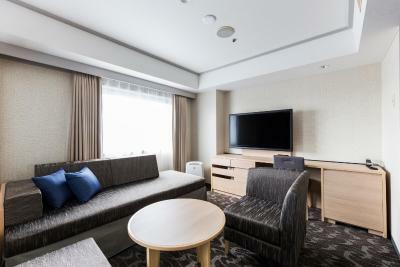 Located on 13-14 floors, this simply furnished room comes with a satellite TV and tea maker. The bathroom includes a bathtub as well as a hairdryer and toiletries. Pay-per-view movies are on offer. Beds featured are 71 in wide. 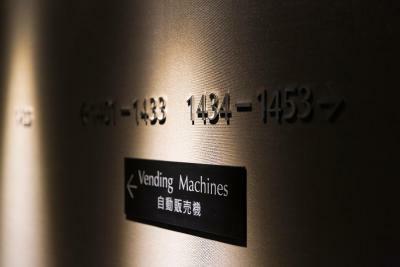 Located on 13-14 floors, this simply furnished room comes with a satellite TV and tea maker. The bathroom includes a bathtub as well as a hairdryer and toiletries. Pay-per-view movies are on offer. 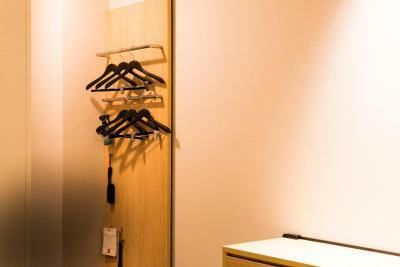 This double room features a soundproofing, electric kettle and satellite TV. This single room has a electric kettle, soundproofing and air conditioning. 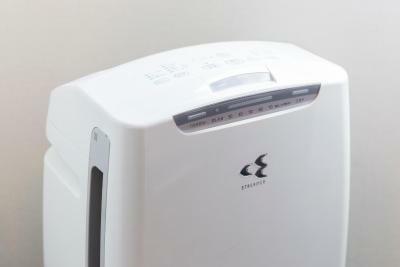 This double room features a electric kettle, soundproofing and air conditioning. This twin room has a electric kettle, satellite TV and soundproofing. 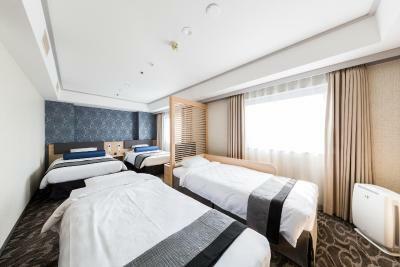 This triple room features air conditioning, electric kettle and soundproofing. This quadruple room has a soundproofing, electric kettle and flat-screen TV. 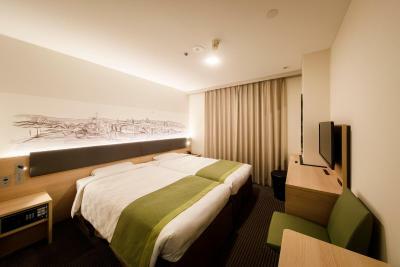 This single room features a soundproofing, air conditioning and flat-screen TV. 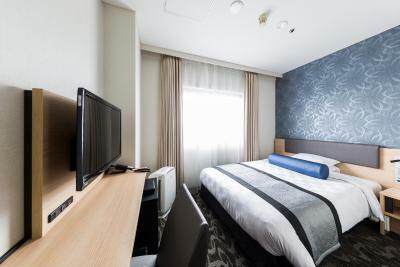 This double room features a soundproofing, electric kettle and air conditioning. 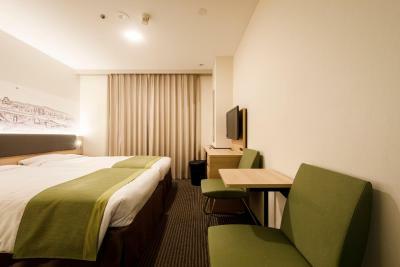 This double room has a soundproofing, air conditioning and electric kettle. 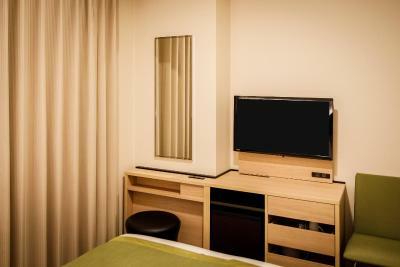 This double room features a satellite TV, soundproofing and view. 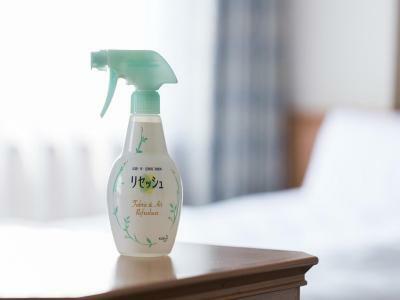 House Rules Shin Osaka Esaka Tokyu REI Hotel takes special requests – add in the next step! 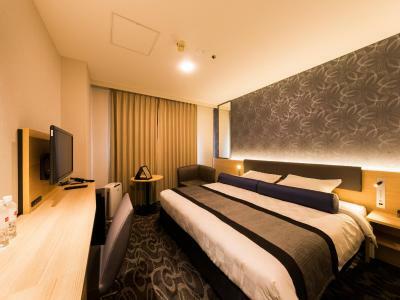 Shin Osaka Esaka Tokyu REI Hotel accepts these cards and reserves the right to temporarily hold an amount prior to arrival. 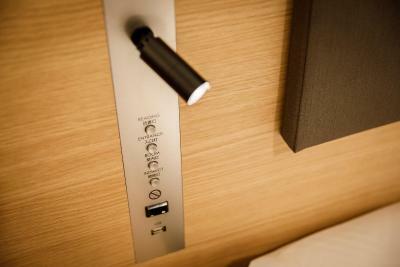 Guests who are planning to arrive after 22:00 must inform the property in advance. Otherwise, the reservation may be treated as a no-show. Room is a little small but expected of hotel rooms in Japan especially main cities like Osaka. The room was very small yet tha air con still didnt work sufficiently and this was in spring so it wasnt that hot outside. When we told the hotel staff their solution was to open the window but it was too noisy to leave it open all night. Restaurant for breakfast is not rally organized and people were confused how to line up. 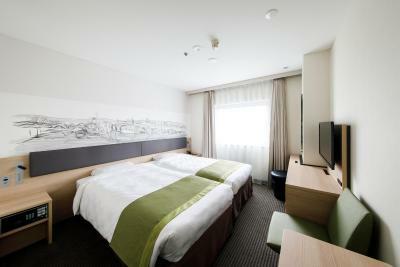 A room was very clean and modern design. The heating system was very hot. We thought that 20 degrees for the room minimum was too high. We asked staff to open the window and they were very quick to help us. However, it is noisy with an open window. This hot room was the only problem. Beds were hard and only provided one pillow that was flat like a bean bag. The hotel location is good. Not far away from Shin-Osaka. But the environment is better. There are many good restaurants and supermarkets near the hotel. And the breakfast is good. Very close to everything. Was affordable Quiet neighbourhood. Room was small but had everything.